3. Ants don't like the smell of turmeric. I spread some turmeric powder near the camera and waited for a night. I could see some ants leaving the camera. But again few returned back to the camera. 5. In the end, I used a hair drier to blow away the ants. The warm air did a great job. Also, make sure the drier is not hot and speed is low. You can use air blower, vacuum cleaner or the back of the vacuum cleaner. I blew air from the battery cap from where the most of the ants had entered. They started coming from the dials. I needed to do it few times at some intervals. 6. I also tried to irritate the ants with vibration. I used the hair drier again for giving mild vibration. Don't try to tap your delicate camera with hands, and give it shocks. I kept the hair drier over the camera for few minutes, the motor vibrated enough to irritate the ants. 7. You can also spread insecticides and put your camera at the center. This will kill the ants coming out from your camera and will avoid them from returning back. This will also prevent other ants to enter in the SLR. Take much care so you don't make your SLR poisonous unless you want to take selfies in the hospital. 8. [Don't] Washing your DSLR in water (I kept getting funny suggestions). You can dip your camera in water if you don't love it. If the ants don't hold anything inside. They will be floating in the water. But remember, ants can live underwater for 2 days. Though I don't need to say, don't try this one. 9. Sending your DSLR to the authorized service center is the best idea. 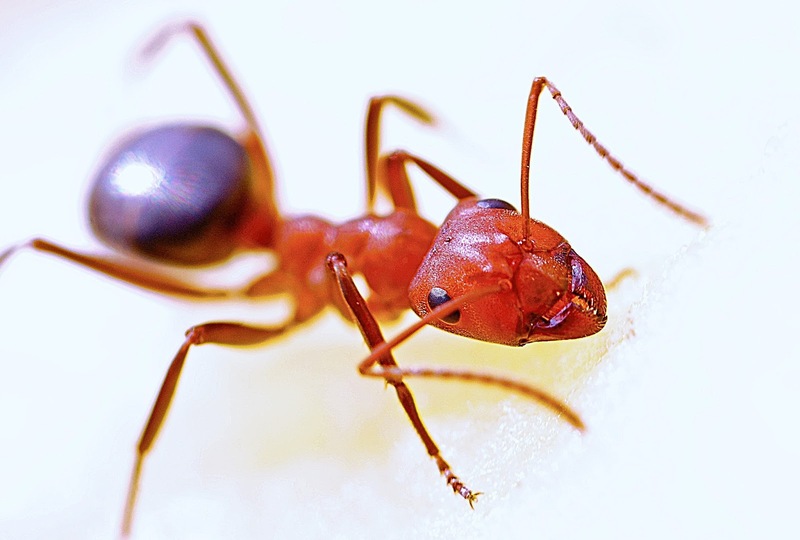 Although ant infestations aren't covered by warranty, and they will charge for removing the ants. But it's the safest way. This also won't void the warranty. If you have tried above methods for removing the ants and all ants have gone. Despite this, You should send your SLR to the service center. Because there might be remains of ants, dead bodies, food or eggs in there. Which may cause fungus, moisture or attract ants or other insects in future. 10. Always put some silica jell packets in the DSLR bag. Some professionals suggest keeping the camera inside airtight plastic container storage boxes instead of keeping it in the bags. If you experienced the same, and have something to say. Feel free to comment below.